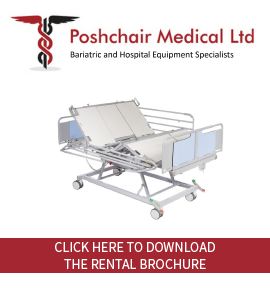 The first multi-purpose patient lifter that has revolutionised the current Bariatric patient transfer system at the push of a button. Designed to accommodate load up to 300Kg. Long reach padded boom and yoke for patient safety and protection. Polyurethane coated legs to protect patients, staff, lifter and facilities. Rear drive wheels with 75mm swivel front castors for easy manoeuvrability. Overriding emergency stop button with emergency lowering. Easy and safe sling connection with patient size identification. Choice of double or single spreader bar. Easy to control system that transports and transfers patients with ease. Reduced back strain and other associated injuries to nursing staff and patients. Easy to operate and manoeuvre.